Primarily West Michigan but will travel wherever needed. I work on a reward basis, what it is worth to you and what you can afford for me to come out and find your lost item. If your item isn’t found, there will be a $25 call out fee (30 mile radius of G.R., further distances negotiable). Cache and insurance claim searches, if found, on a pre-negotiated percentage of value. Jewelry, keys, heirlooms, etc. Estate searches, beaches, parks, lakes & streams (up to 5 feet deep), campgrounds/RV parks, anywhere with legal permission from the land owner. I’ve been finding and returning lost items to their rightful owners since I was 10 years old. I even received an Outstanding Citizen Award from the local police department for returning the $800+ dollars I’d found that belonged to a local business owner who’d dropped the day’s business receipts while getting out of his car. 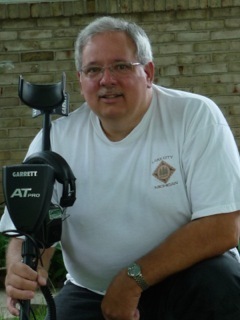 I’ve become very proficient over the last couple years with the Garrett AT Pro metal detector and look forward to helping you find your lost treasure with it.